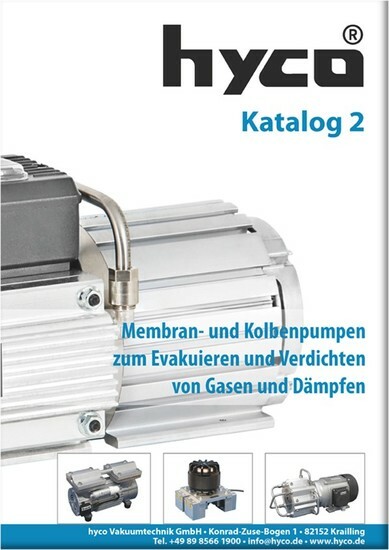 Freshly printed and read in online formats: the new hyco vacuum technology catalog. On 96 pages, hyco Vakuumtechnik presents the new catalog "Membrane and piston pumps for evacuation and compression of gases and vapors". In addition to corporate and general pump information, the catalog includes content for relevant audiences, a pump selection chart for performance data, detailed information for each pump with pump description, image, specifications and curves for pressure and vacuum, and general information about pump technology. The catalog is available in German and English and can be downloaded in the printed version as well as in online formats. The different versions can be found here.